Just wanted to share with everyone this great photograph that I came across. I am not sure who took it but it is a lovely, candid snapshot of what Rinpoche is really like. For me, it captures the depth of Rinpoche‘s commitment towards Kechara and Kechara Forest Retreat. Rinpoche has his head down, fully concentrated on the task at hand (as he always is, no matter how big or small the job). The broom is in motion, thanks to enthusiastic, non-lackluster sweeping. No one is watching and no one needs to be watching in order for Rinpoche to do a good job, because this is Kechara Forest Retreat and the ‘home’ of Dorje Shugden. Behind Rinpoche, everyone’s sitting down, Rinpoche having insisted the volunteers rest and eat something because everyone had been on their feet for many hours, setting up a workspace for the writers. And all of this is taking place because the writers’ team was expanding and space was needed to accommodate everyone. Yes, Rinpoche really is always like this. 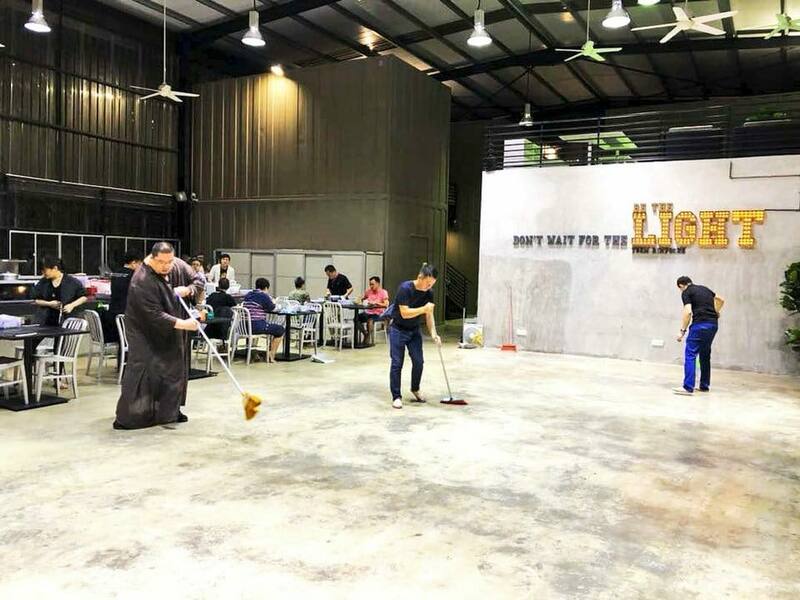 Figuratively and quite literally, Rinpoche is not beyond rolling up his sleeves, picking up a broom and doing it himself. In public, in private, 24/7, 365 days a year.